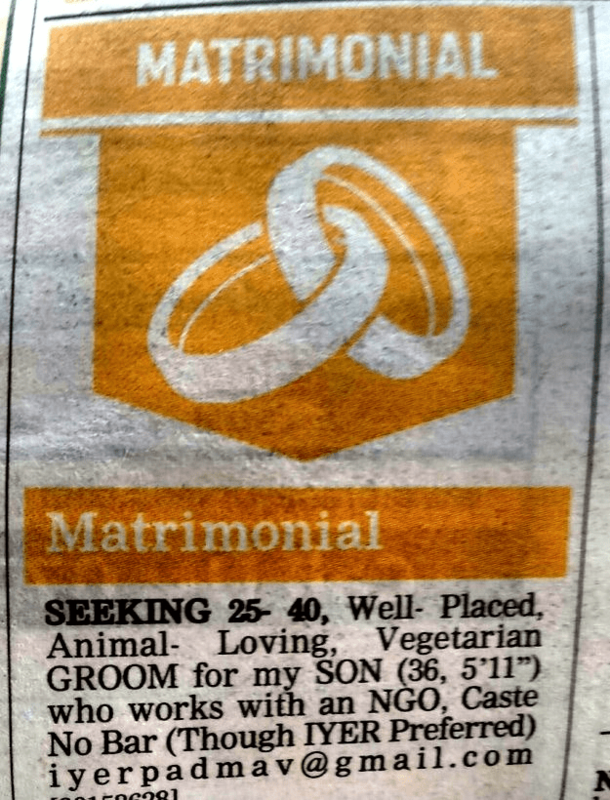 This could be India’s first ever marriage AD where a mom is seeking a groom for her son. 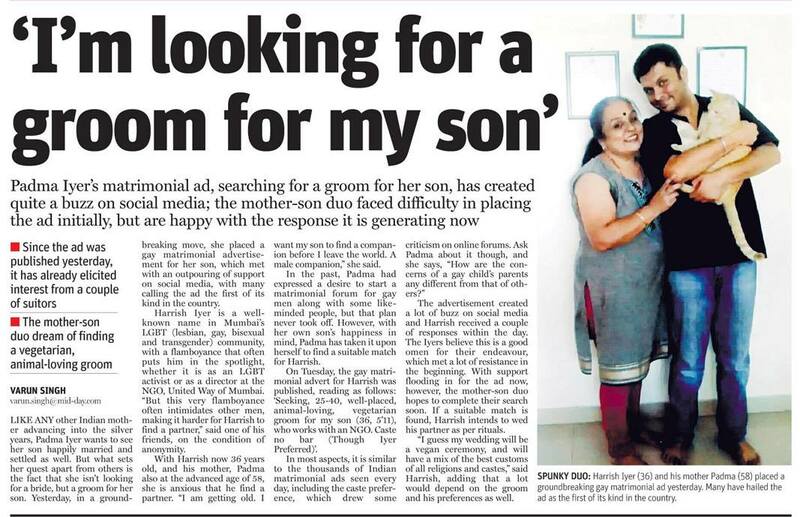 The Times of India, DNA India and Hindustan Times refused to carry this groom-seeking ad by a mother for her gay son, even though they had been writing pro-LGBT articles. May be its time to sensitize your own ad department about homosexuality when you preach about LGBT acceptance to the public. MiD DAY take a bow! You stood out from the rest with this act! We wish that Ms Padma Iyer finds a groom for her son very soon! All the best!